One of my favorite fish… salmon. I love eating fish. It goes way to when I was a kid. I grew up next door to the Mississippi River, but growing up on the farm and with the busy life style that farming brings, we never really went fishing. Oh, I can remember my mom taking us trout fishing (not in the Mississippi) a couple of times when I was a kid, but I don’t think we really ever caught anything. We had a few friends that would go fishing and when they didn’t want their catch of fish for the day they would bring them to my mom. I can remember helping with cleaning the fish and anticipating the fish fry that we would have the next day. When I first met Mike he was not a big fish eater, but over the years he was begun to like a few different kinds (thank goodness for that), salmon probably being his favorite. Thank goodness for the fact that he will eat fish now. 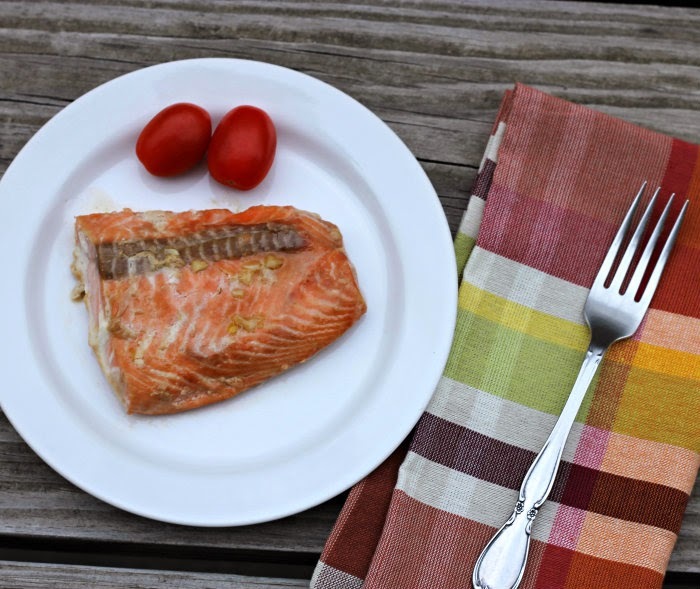 We like trying new recipes when it comes to fish and this salmon and honey-soy one is quite yummy. 3. In a shallow dish, place salmon. Pour marinade over salmon, cover an cover and refrigerate about 30 minutes, but not over an hour. 4. Place salmon in a shallow baking dish along with the marinade. Bake for about 10 minutes and flip bake about another 10 minutes or until fish is flaky. When turning fish over, spoon some of the marinade over the fish to keep it moist. The only fish I really love is salmon! And that marinade sounds so perfect for it! 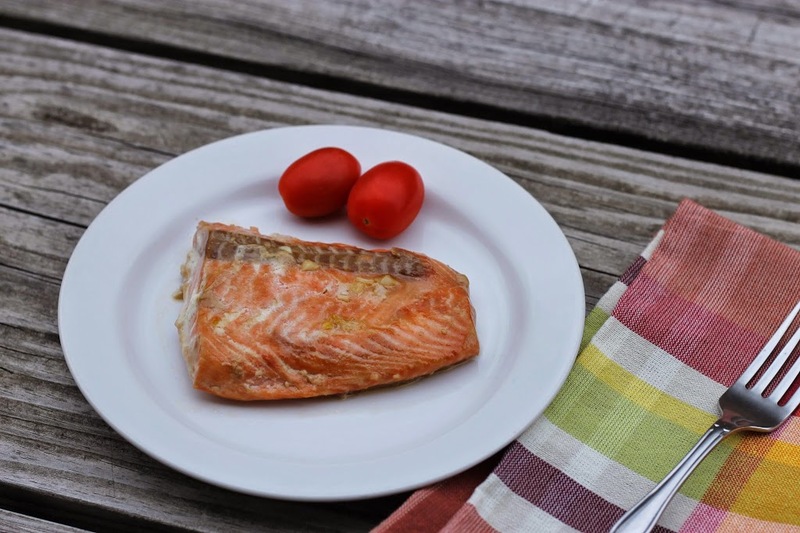 Delicious looking piece of salmon…simple and so tasty. When I first met my husband he liked some fish but not salmon. He too has come around and now salmon is the fish I make most often. The more options for preparation the better. 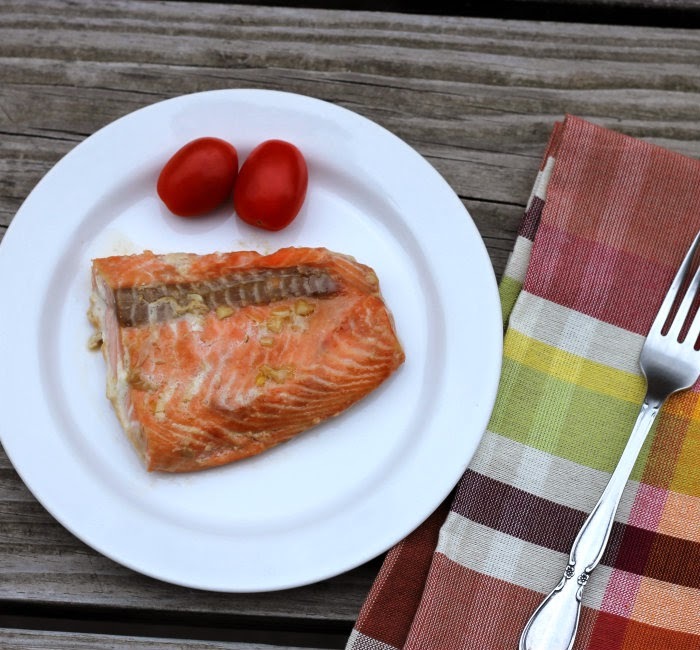 Salmon is one fish that most people like, or at least will tolerate. Good thing, because I love fish too! Lovely recipe — thanks so much.